The Stanbic IBTC Youth Leadership Series might have come and gone but the lessons learnt lingers as it was an opportunity to impact in the youths on success nuggets that would give them tangible deliverables. The facilitators were drawn from a rich pool of eggheads as they include award winning filmmaker, Kemi Adetiba; innovator, agriculturist, and entrepreneur, Onyeka Akumah and Abisoye Ajayi-Akinfolarin, programmer and a CNN Heroes award winner. 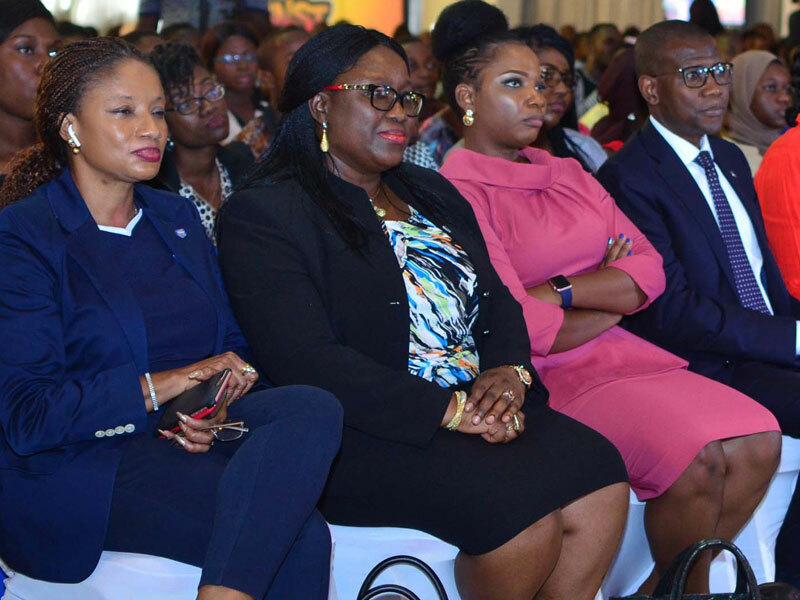 These trio over the weekend in Lagos shared valuable success tips with an appreciative audience at the 2019 Stanbic IBTC Youth Leadership Series (YLS). Stanbic IBTC, Nigeria’s leading end-to-end financial services provider, said the youth empowerment motivational series was conceived as a way to energise, through deeper engagement, the entrepreneurial spirit in young Nigerians while helping to build the next generation of leaders. Chief Executive, Stanbic IBTC Holdings PLC, Mr. Yinka Sanni, said the YLS is a platform to engage the youth, a critical and vibrant segment of the population that will not only help to drive its sustainability but also help shape the future of the nation. “It is clear to us that sustainability of our brand is very important. However, we do appreciate that our future is closely woven with that of the energetic, innovative and hardworking Nigerian youth. “It has been from the very beginning considering that the Stanbic IBTC brand, which is 30 years this February, was set up in 1989 by an innovative and audacious 33-year old Nigerian, Mr Atedo Peterside,” Sanni said while welcoming participants to the event. “Where others see young millennials, we see business leaders, successful entrepreneurs; we see scholars, innovators, and high profile professionals with whom we are honoured to partner,” Sanni added. The three speakers, Akumah, Ajayi-Akinfolarin and Adetiba, agreed that the most important ingredient for success is knowledge acquisition through education. Ajayi-Akinfolarin narrated how she defied her parents and risked her life in her quest to be educated. The need to hone one’s skill(s) is also critical. Their ability to identify their passion early on and work on them propelled the trio to success. For Adetiba, she had a flair for entertainment, despite her training as a lawyer. It was coding/programming for Abisoye and farming for Onyeka. According to the trio, success is not instantaneous but with hard work, focus, resilience and a positive attitude, success is guaranteed. Then they also talked about the discipline required to remain grounded when success is attained. Chief Executive, Stanbic IBTC Bank, Dr Demola Sogunle, who gave the closing remarks, said he believed that vital lessons had been learnt and that he hoped the youth have been inspired and motivated through the shared experiences and achievements of the three speakers. He assured that Stanbic IBTC will continue to seek quality platforms such as the YLS to engage the Nigerian youth. Stanbic IBTC Holdings PLC, a full service financial services group with a clear focus on three main business pillars – Corporate and Investment Banking, Personal and Business Banking and Wealth Management. Standard Bank Group, to which Stanbic IBTC Holdings belongs, is the largest African bank by assets and market capitalisation. It is rooted in Africa with strategic representation in 20 countries on the African continent. Standard Bank has been in operation for over 155 years and is focused on building first-class, on-the-ground financial services institutions in chosen countries in Africa; and connecting selected emerging markets to Africa by applying sector expertise, particularly in natural resources, power and infrastructure.